The most common method of mitigating is using a system called a sub-slab depressurization system. This is typically done by drilling a hole through the floor of the basement where a pipe is inserted. From there the pipe can either run to the outside or to the attic where a fan is attached. From the fan, the pipe continues above the roof line venting the radon gas into the air where it dissipates into acceptable levels. Another common mitigation system that is seen with crawl spaces is called a submembrane depressurization system. This involves laying a membrane down on top of the floor, usually a dirt floor, sealing all edges, and connecting a suction pipe similar to that of the sub-slab depressurization system. Radon is a colorless, odorless, tasteless, naturally occurring, radioactive noble gas that is formed from the decay of radium. Radon has a half life of 3.82 days. It is measured in PicoCuries per Liter (pCi/L). The average indoor radon level in the United States is 1.3 pCi/L and the average outdoor level is 0.4 pCi/L. The only way to know if your house has radon is to test it. Radon levels can differ from house to house. The Pennsylvania DEP recommends that action be taken if there is a reading of 4.0 pCi/L or higher. When re-testing a home after the completion of a mitigation system we use Berks Realty Services to conduct the test. 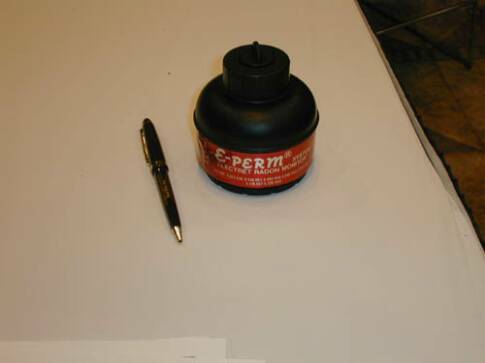 They use E-PERMS which is a 2 day test. The most important factor contributing to radon entering a home is having a source of radon in the ground below your home. Having a large source of radon and permeable soil underneath the home greatly increases the chances of finding radon in the home. 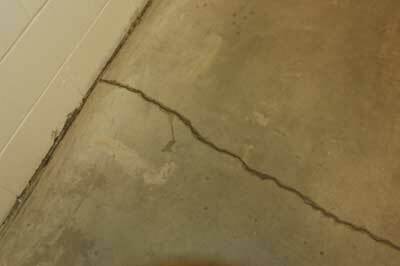 Cracks found in the basement slab, utility penetrations, pipe penetrations, cracks in walls, floor drains, and sump pits are all entry points for radon. Soil gas infiltration accounts for 85-90% of radon found in homes. Diffusion of radon through a slab can account for only about 1-4% and emanation from materials only accounts for 2-5% of radon found in homes. It is also noted that radon can be found in water, but this accounts for less than 1%.